Is your resume as optimized as the clinical data you code? This sample shows how you can organize your resume data to launch your career. As you search for a clinical data specialist job, make sure your resume is as optimized as the clinical data you code, says resume expert Kim Isaacs. 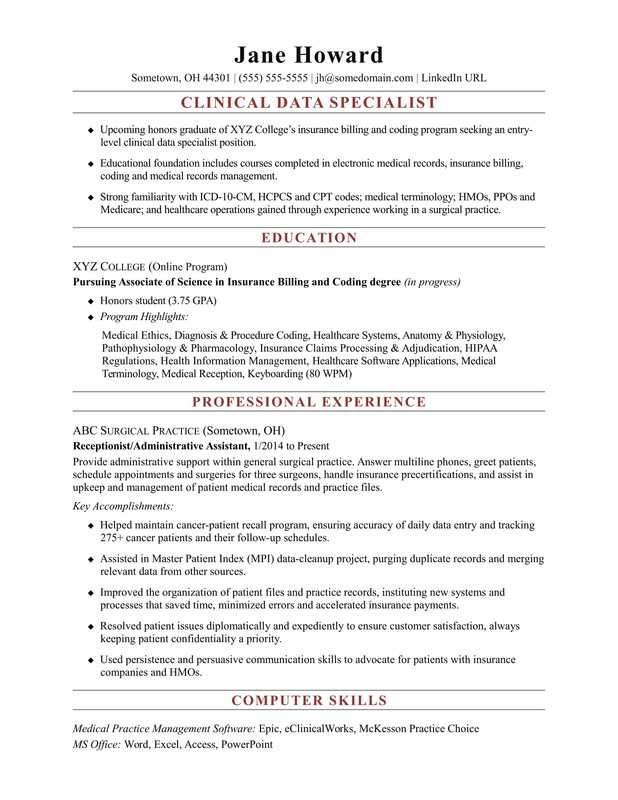 To see how you can organize your resume data to launch your career, view this sample resume for an entry-level clinical data specialist that Isaacs created below. You can also download the entry-level clinical data specialist resume template in Word. And if you need more help, get a free resume evaluation from the experts at Monster's Resume Writing Service. Additionally, you can search for clinical data specialist jobs on Monster.